Learn why kids thrive when they get opportunities to engage in open ended crafting. I love the tips in this post for getting started! School is out for the year for my family, and in our house that means plenty of time for open-ended creative projects. I’m a huge believer in open-ended crafting for kids! I find that this type of creating allows children a safe space to explore ideas, test concepts, and practice putting ideas into practice. Open-ended crafting provides a rich backdrop for storytelling, too! Setting up a home or school that fosters open ended crafting doesn’t have to be hard! You need only three ingredients: time for crafting, a space for crafting, and a few basic materials. 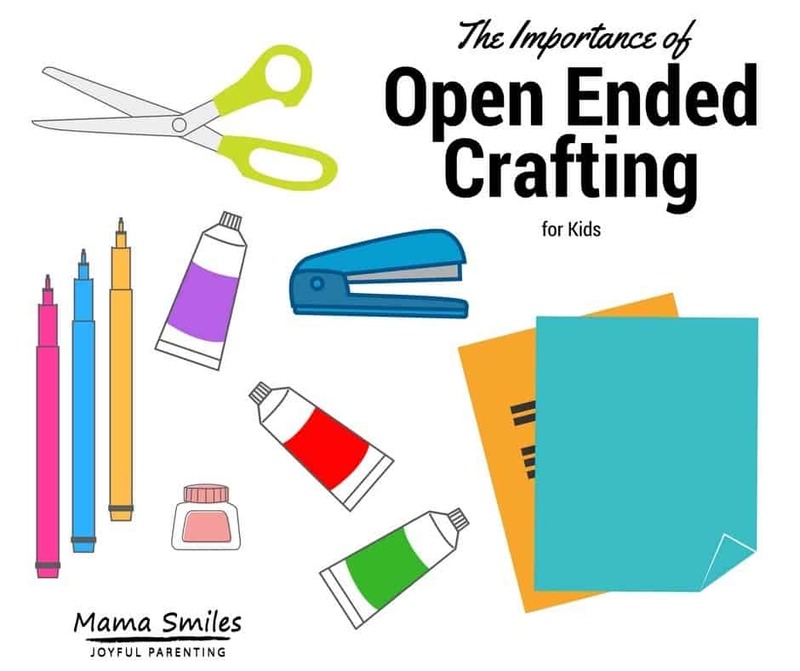 You don’t need much in the way of supplies to encourage open ended crafting! My kids create most with things they find in our recycling bin, markers, scraps of fabric, felt, tape, string, and paper. I will throw a few luxury crafting items into the mix from time to time, just to see what it inspires. Adding a few “special” items to the mix is a great way to entice a reluctant maker! My children also benefit from brands occasionally sending us items, as well as samples I’ve picked up from attending SNAP! and Creativation. I recently gave our open ended crafting a boost by creating this mini home makerspace. And my friend Rachelle wrote this wonderful book, if you are looking for more inspiration. This recent creation from my 11-year-old tween daughter inspired me to write this post. 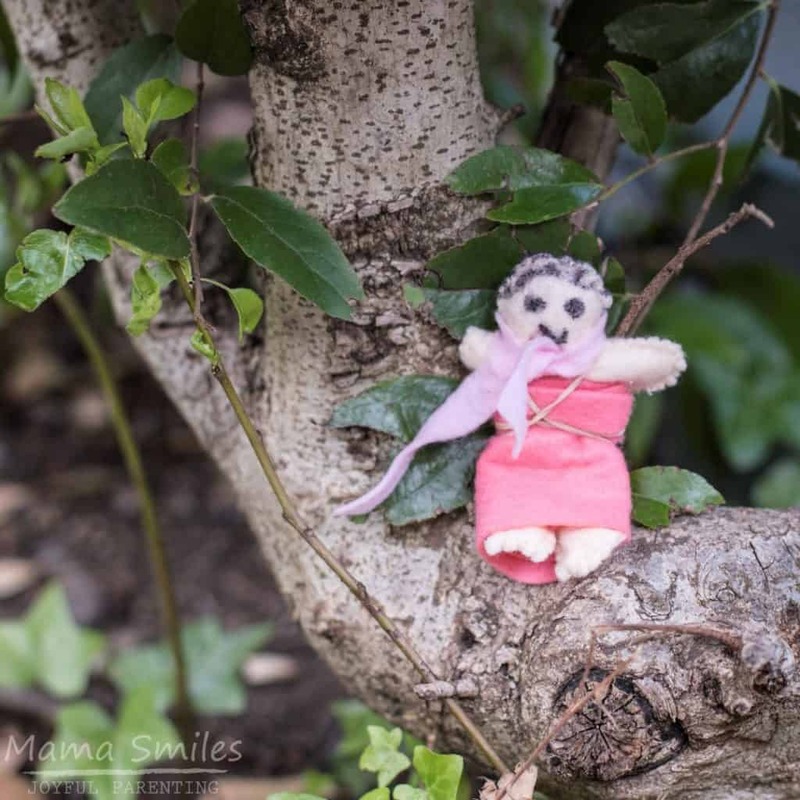 She used scraps of felt, a needle and thread, rubber band, and Sharpie pen to create a fun little character she named Doop Doop. The name is in honor of the mouse from the original Disney Cinderella movie. Of course, this Doop Doop is not a mouse. 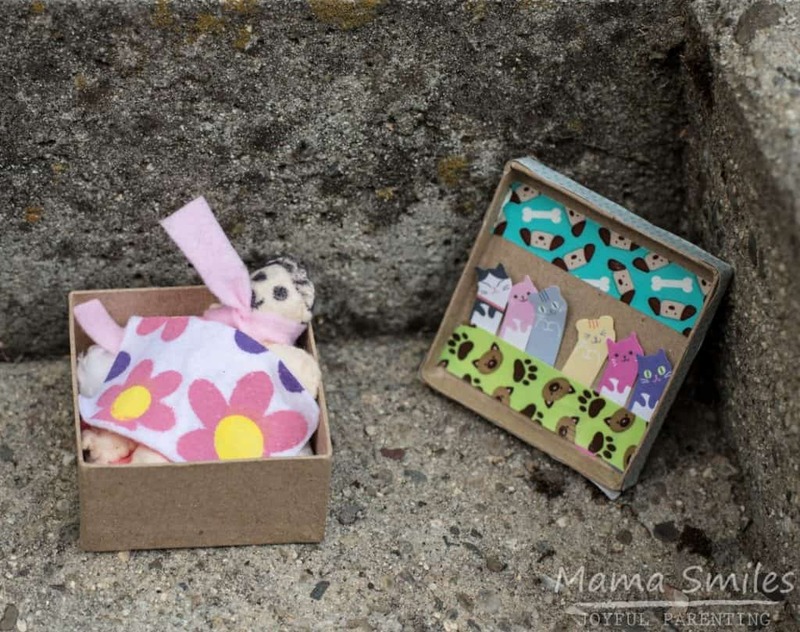 Emma made her a girl “because dresses are easier”, and transformed a small paper mache box that was left over from another activity into Doop Doop’s house. You can’t tell from the photos, but Doop Doop’s felt body was built around a a pipe cleaner base, so she is fully pose-able. One of the things I love most about crafting is that it allows kids to make mistakes in a low stakes environment. Emma lamented a bit that one of Doop Doop’s arms was longer than the other, but given that she was a quirky creation to start with she was okay with it. Emma typically uses the cat post-it notes as bookmarks, but today they became Doop Doop’s impressive collection of pets. She had picked up the decorative tape when she came to SNAP! with me in 2016. Cotton balls and patterned felt became a bed. As a decidedly quirky individual, Doop Doop Inspires some fascinating stories that all four kids create together. Yet another benefit of this kind of no-stress making! 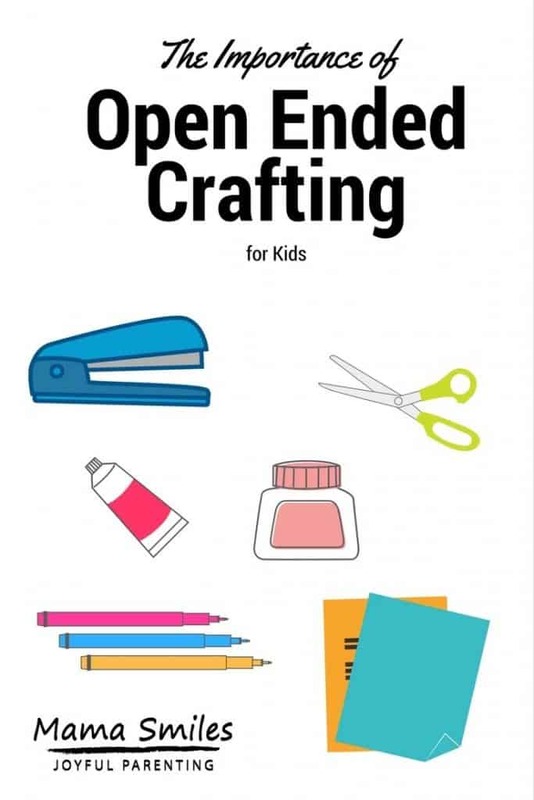 What types of open ended crafting do your kids love best? Please share in the comments below, or on my Facebook page. You can also tag me on Instagram. What a lovely craft for kids! I love that it’s open ended! 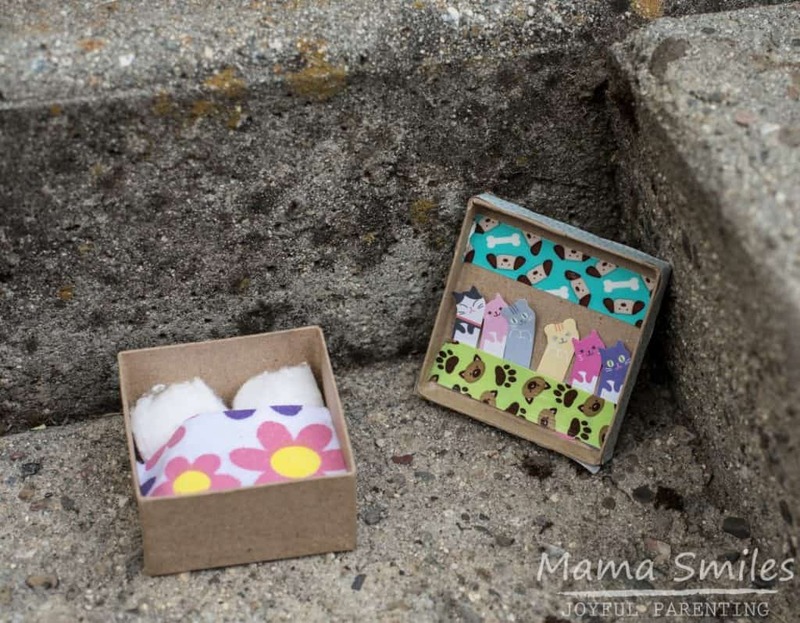 I love how you are fostering creativity in your family! My daughter likes to make creations like that, and it greatly amuses me to see what she makes. Kids always surprise with their creativity.